Square Review 2019: Is It Safe and Legit? 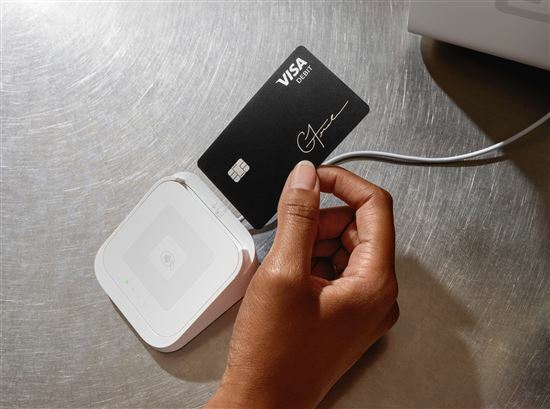 Square is a mobile credit card processor for small businesses. It has no monthly fees and a low flat transaction rate. Read on for the pros and cons. Square was one of the first mobile card readers available. Today, it's not just a payment processor - it's also a powerful point of sale. Business owners can take credit cards, manage inventory, create invoices, and manage employees with one program. It takes less than 10 minutes to sign up for the service. After going to Square's website, you download the app and are ready to accept credit cards in minutes. The Square card reader is free and plugs right into the user's phone or tablet. 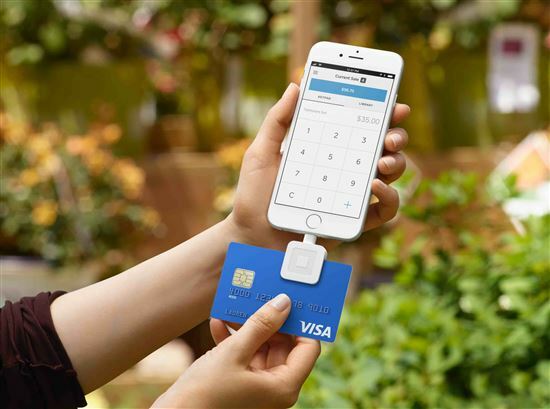 Square doesn't require a contract and accepts all major credit cards. Who Is Square Best For? New companies: Businesses just starting out that want to watch their expenses may benefit from Square. With no monthly fee and flat rates for all credit cards processed, Square may be an affordable option. Companies with small transactions: Because the fees are per transaction, small transactions remain affordable. For example, a $10 transaction would cost a company $0.27 versus a $1,000 transaction, which would cost $27. Mobile businesses: Companies on-the-go need a simple payment processor they can use anywhere. With the adapter plugged right into the user's phone or tablet, companies can accept payments anywhere. Easy sign-up: You can sign up online or through the app. You'll enter your name, address, date of birth, and Social Security number. You'll also need your bank account number to collect the deposits, but you can enter that after the account is open. There's no lengthy application process or downtime waiting for approval. Simple set-up: After setting up an account, you can customize your dashboard setup. On the dashboard, you can enter multiple locations, customize receipts, create custom categories, tax settings, and inventory. You can also set up a loyalty program, manage employees' hours and sales, and create custom reports. No monthly fee: The Square is free to download and you can receive the Square reader at no charge. The only fees you pay are the per transaction fees as you make them. If you have a month with no transactions, you pay nothing for the service. This may be helpful for new businesses that need to watch their costs. Square doesn't require monthly processing fees or gateway fees. They also don't have any termination fees or require you to meet a specific monthly quota. Low prices: The basic Square card reader is free if you order it online. If you buy it at a retail store, it costs $10, but Square reimburses the $10 to your designated account after activation. You can add other devices for separate fees. We discuss them in the pricing section below. Quick deposits: Square deposits your funds within two business days to the designated account in your dashboard. If you want Instant Deposit, it will cost you 1% per deposit. Minimalist design: Square's app and dashboard have a sleek design that works well for beginners and experts alike. It's easy to customize the display and access the extra tools with the drag-and-drop interface. Accept offline payments: If you get knocked offline, you can still accept payments, but only swiped payments. Chip cards and contactless payments require the internet. The system will store the information for 72 hours. If you don't have internet within that time, the transaction expires. However, you do take full responsibility for expired or declined cards. 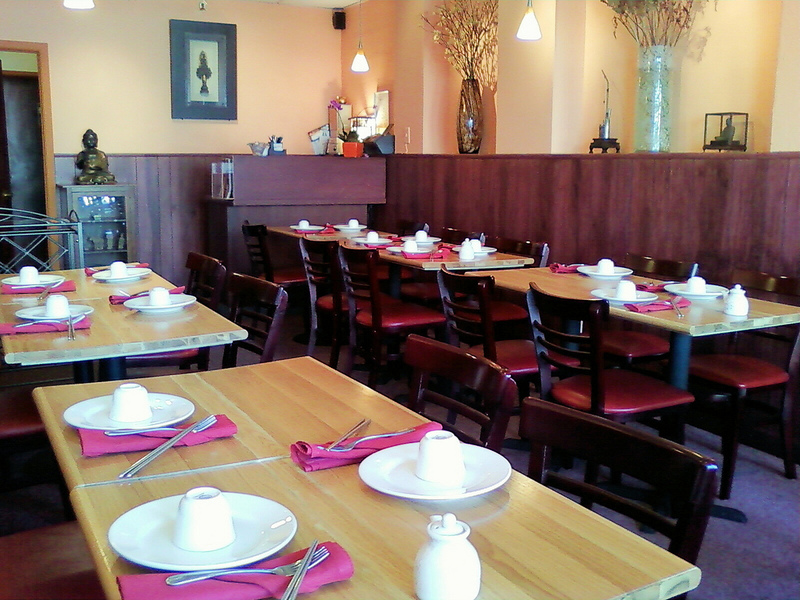 Accepts gift cards: You can sell and accept gift cards in any denomination. The dashboard offers default amounts of $10, $15, $20, $25, and $50 gift cards. You can customize the amount by altering these default values in the dashboard. Allows the use of multiple devices on one account: Square allows you to have up to 75 locations under one master account. On the dashboard, you can customize the specifics of each branch and even code the deposits so you can tell which branch made the sales. Offers many other services: Through the Square dashboard, you can manage inventory, create loyalty programs, manage payroll, book appointments, and customize your online store. Lack of support: If you prefer to talk to a human, you may not care for Square's support. They prefer it if you go to the Support Center first. From there, you can search through their articles, FAQs, and topics to find the answer to your question. If you don't find your answer, you can post the question to the community forum or email Square. They do offer phone hours, but only 6 AM - 6 PM, Monday through Friday. Add-ons can get costly: If you find the dashboard inadequate, Square offers a host of add-on services, but they come at a price. Most services are billed monthly, but include things like employee management, E-commerce, and booking/scheduling. Withheld funds and account cancellations occur: Square offers a streamlined application process. No human looks at the application initially. However, once you have the account, an underwriter will review your account. If they determine you are "high-risk," they may hold onto your funds until they complete the review process. They may even cancel your account. Square's app and online software are free. You can use them on multiple phones, tablets, or PCs at no charge. Square offers a streamlined interface that makes it user-friendly and feature-rich. On the home page, you'll get an overview of your account. This includes your gross sales, upcoming deposits, outstanding payments, and top items sold. You can customize the home page as you see fit, deleting widgets that don't pertain to your business. Sales: Monitor which products sold, how customers paid, and the amount of your upcoming deposits. Items: Manage your inventory, create discounts, and create categories for your products. Employees: Manage employees by creating permission groups. This limits the access to the information each employee can see on the dashboard. You can also track an employee's time worked and sales. Customers: Manage your customers while encouraging loyalty, feedback, and specialized promotions. Create loyalty programs, manage your marketing, and see the results all in one dashboard. Appointments: Book appointments 24/7 and also allow client-booking capabilities even when you are closed. You can access the appointments on any device and sync the data to your Google Calendar. You can also customize the calendar, blocking out times and viewing upcoming appointments. Invoices: Send invoices right from your POS, so you have everything in one place. The payments made count as an online payment and are subject to the online pricing of 2.9% plus $0.30 per transaction. The invoice-generation makes it easy to create custom invoices with your company logo and any necessary information. You can track invoices, send reminders, and view the analytics 24/7. Virtual terminal: You can accept credit card payments without possession of the reader. Send custom digital receipts and receive your payment within 1-2 business days. These charges are subject to the key-in fee of 3.5% plus $0.15 per transaction. Location management: Manage multiple locations from your dashboard. You can customize pricing, items, and employee information, all from the dashboard. You can also filter reports to customize the information received by location. App marketplace: Square pairs with many third-party apps, giving you more capabilities for your POS. Some have a monthly fee while others are free. You can browse by category to make it easy to find the apps you need. Inventory: Update inventory, run reports, and receive alerts when stock runs low with the Square dashboard. You can also add modifiers or edit inventory in just minutes. If you need more capabilities, Square offers Square Retail for $60 per month. Need help from Square? You have to be an existing merchant if you want phone support. They require you to complete an online form after signing into your dashboard. Once you complete the form, they provide you with a unique customer code that you use to talk to them. The app is a duplicate copy of the dashboard on your PC. It's user-friendly and easy to navigate. The app is free, but you do have the option to pay for third-party apps to work side-by-side with Square. Currently, you can only use the app on iOS and Android devices. It is not available on Windows, Blackberry, and Amazon Fire. Once you download the app, you have your dashboard with you on-the-go. The free Square card reader offers the ability to accept credit cards with a few restrictions. You can only accept swiped credit cards. If you want to accept Chip, you must buy the Chip reader. You can plug the reader right into the headset jack. If you have a newer iPhone that doesn't have the headphone jack, you can use the lightening adapter. Square offers a "better" one for $15. It only takes a few minutes to set up the free and any purchased card readers. You can send receipts via text or email. If you want to print receipts, you'll need to use a tablet and attach a receipt printer. The card reader works with iOS 9.0 or later and Android 4.0 or later. Where can I buy a Square card reader? You can find the Square reader at major retail stores, including Target, Meijer, Walmart, and Walgreens. You may also find them at your local cellphone store, including AT&T, Verizon, and U.S. Cellular. PayPal: Square and PayPal offer similar services, but Square offers more features for vendors operating mostly on a mobile device. PayPal takes the cake on ecommerce, but limits functionality for vendors needing the full gamut of services on-the-go. Most notably, their inventory capabilities are very limited, making it more of a payment processor rather than a full POS. Stripe: Stripe is the chosen processor for large volume businesses, as they give a volume discount after $80,000 in monthly sales. It's also good for businesses that have a built-in developer team that can integrate the software with their ecommerce site. It's not a processor for beginners or those without a team of developers. However, the fees that Stripe and Square offer are very competitive to one another. 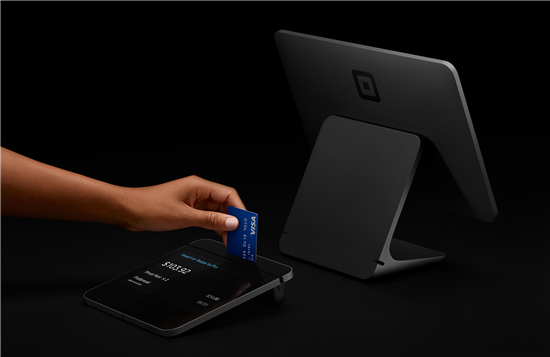 Square offers many benefits, operating as a full point-of-sale. They have the richest history in mobile payment processing and offer many additional features via third parties. Square is simple, straightforward, and affordable. But, if you have heavy volume, could be considered "risky," or need phone support, you may want to look elsewhere. Is Square Safe? 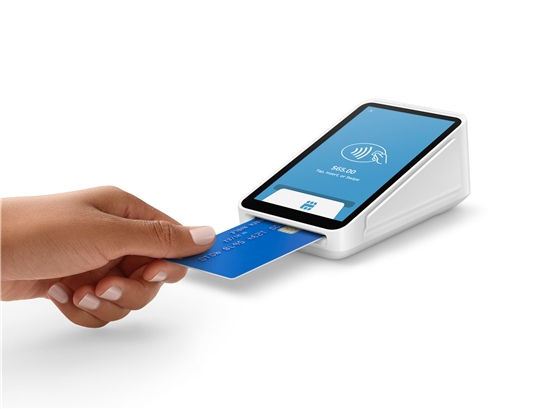 The Square reader encrypts information as soon as it's received, and they handle all disputes or issues with any payment. They also utilize live monitoring programs, which they claim helps stop fraud before it even happens. Lastly, they require two-step authentication to prevent unauthorized personnel from hacking into your dashboard. Leave a comment about Square Review: Pros and Cons? Share on Facebook "Square Review"